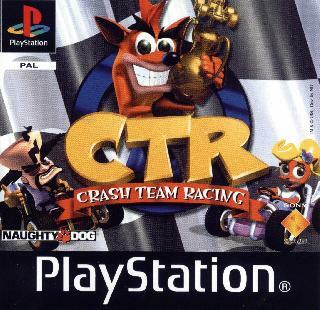 Crash Team Racing (or Crash Bandicoot Racing) sort of follows the main kart racing games formula of play which means it includes many playable racers, powerups and quick fun tracks but enhances it in a couple ways. 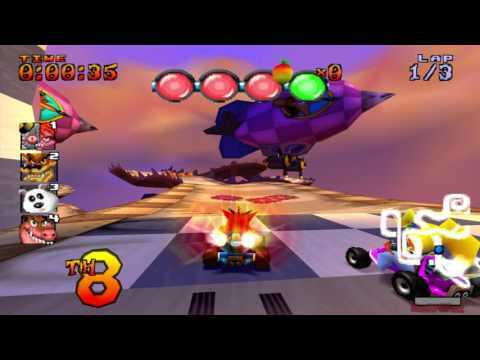 The story happens after the 3 main Crash games and everyone is minding there own business when an alien named Nitrous Oxide come to earth boasting to the the fastest racer in the galaxy. He challenges earth to a race in which if he wins he will turn the entire planet into a parking lot and make everybody his slaves and if he loses he'll go away. 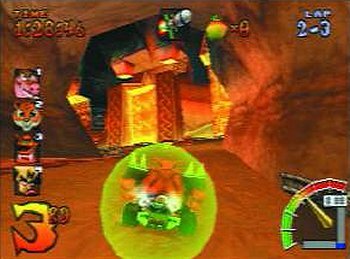 So Crash, Coco, Cortex, Tiny, N. Gin, Dingodile, Pura Polar and few "boss" racers compete for the chance to race against Nitrous. 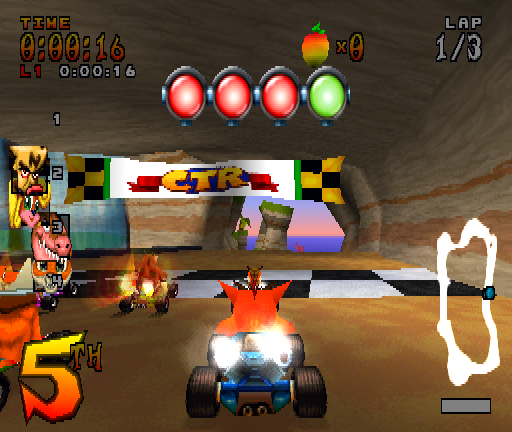 The game is made of 4 main sectors containing portals to the race tracks and one smaller sector containing a few special tracks and tournements. 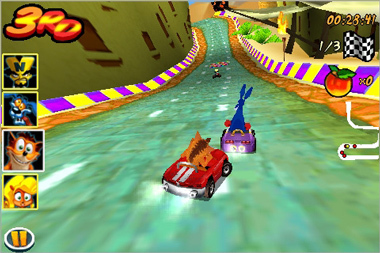 Players have to come first in every race and beat one "boss" racer to come up against Nitrous. Every main track has two bonus states that you can activate after you beat it once. 1. You race your competitors and attempt to come in first AND you must collect the letters CTR which are hidden in the track, 2. A time trial mode. 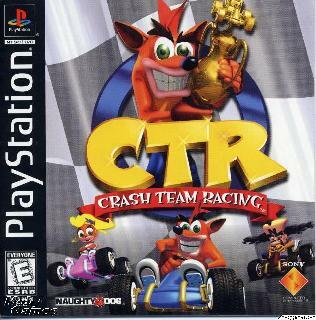 Beating CTR races unlock 4 track Cup Races and beating the time trial races allow you to again race against Nitrous to drive him away for good. 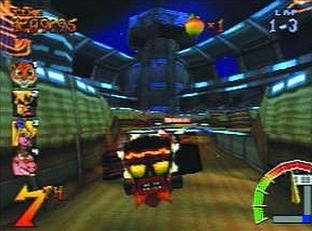 The "bosses" are special one-on-one races in which you must come in first and dodge the obstacles the bosses toss at you. You must beat them to continue to the next sector. The game supports multiplayer but not in the main story game.